After hearing about the features on "OxyMoron" yesterday, Q returns today with the first taste of the project, titled "Yay Yay." Who's excited for "OxyMoron"? Check out Yay Yay (Prod. By Boi-1da), the latest track from ScHoolboy Q, which dropped on Friday, March 22nd, 2013. 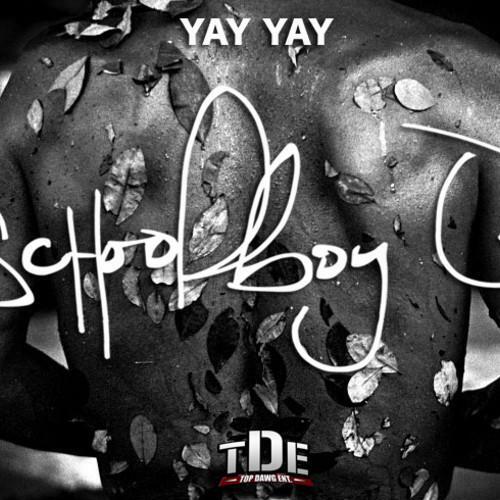 ScHoolboy Q's movement grows stronger with each new release, and Yay Yay (Prod. By Boi-1da) has further strengthened that fact. It's a solid addition to the commendable body of work ScHoolboy Q has been creating since stepping foot in the rap game, and we're definitely looking forward to what ScHoolboy Q has on deck. Check out ScHoolboy Q on Funkmaster Flex Freestyle. If you dig this, visit ScHoolboy Q's profile for the latest info, news, songs, and mixtapes. Check out ScHoolboy Q's Facebook and Twitter. My agenda for today is to make bread or get laid"